Spotify is launching headfirst into 2019 with a premium subscriber count of 96 million users, according to the company’s Q4 2018 earnings report. Overall, the audio streaming service has 207 million monthly active users, meaning that 111 million people use Spotify for free and 96 million people pay to subscribe to the platform. Another interesting stat Spotify shared is that it has an operating profit of €94 million (roughly, $141 million CAD). “This is Spotify’s first-ever quarterly Operating Profit,” states the company’s earnings statement. 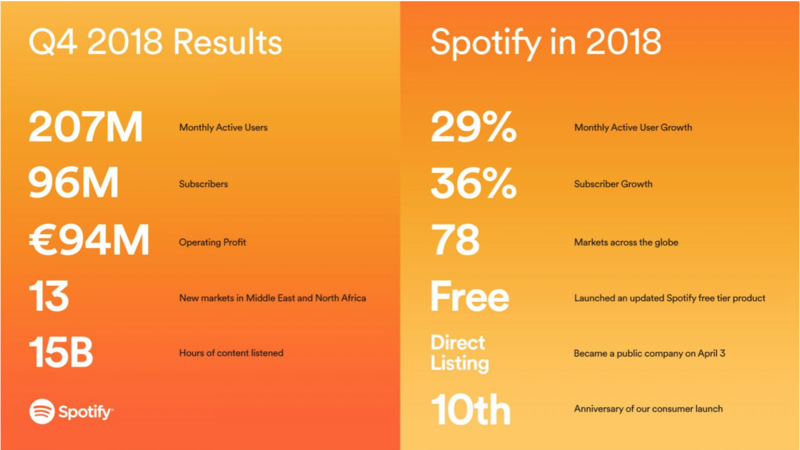 Spotify predicted growth between 93 and 96 million premium subscribers. It attributes hitting the high-end of that spectrum to its Google Home and Holiday promotions. The holiday deal led the company to gain almost 7 million new subscribers, including a new “single-day record of almost 500,00 in December,” states the report. The Google Home promo was only available in the United States, and it netted Spotify Family Plan users a free Google Home Mini. Spotify also saw measurable success with its Wrapped marketing event. The Wrapped website allows users to view their yearly listening stats on the platform. Twenty-eight million users visited the site over one week, which is up from 20 million last year. Overall, these new premium subscriber numbers place a massive gap between Spotify and Apple Music, which reported 50 million paid subscribers at the end of January. In about a year Apple Music was able to grow from 38 million paid users to 50 million, resulting in an increase of 12 million users. Spotify, on the other hand, grew from 87 million to 96 million. This means the service was only able to gain 9 million premium users. While there isn’t an extensive gap between how many new subscribers each service landed, the overall difference between the two platforms’ premium user count sits at a hefty 46 million. These stats tell a must different story than the reports claiming Apple Music was on track to catch or surpass Spotify in the summer of 2018. 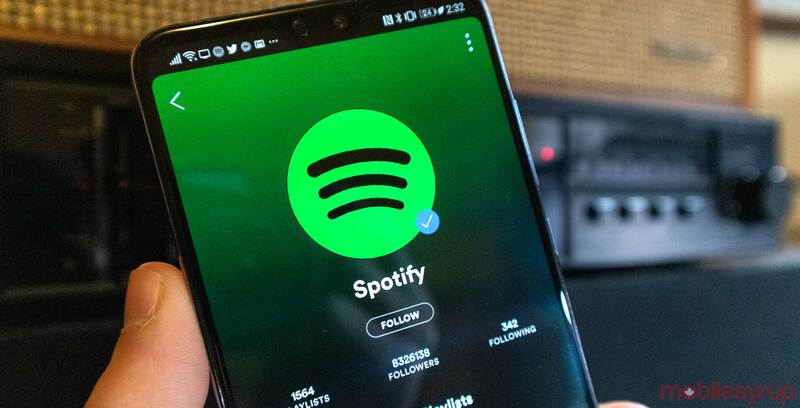 Now it’s likely that the gap is only going to get larger, as Spotify plans to have 117 million to 127 million premium subscribers by the end of Q4 2019. At this point it’s clear Apple is going to have a hard time catching up to Spotify given the platform’s convenience. The Swedish streaming giant’s app is available on many more platforms than Apple music. With this in mind, it makes more sense for most consumers to use Spotify since it plays nicely with the most smart speakers and smartphones. As Apple adds AirPlay 2 to additional TVs and maybe even Roku OS, the platform is improving compatibility, but until it plays nice with Google, it’s a hard sell for anyone with a Google Home or an Android Phone. Apple Music still isn’t even available on the Amazon Alexa platform in Canada, which means the only smart speaker that can play Apple Music through voice control is Apple’s HomePod. If Spotify sticks to what makes it good and continues to expand to more platforms and users, it doesn’t seem like Apple Music will be able to catch it.